Come and take a tour of our building - the old Lemoyne School. Built in 1926, it`s a beautiful building with great character, architectural features, and nostalgia. Our staff is here to assure your auction experience is a pleasant one. We encourage you to return often to learn of upcoming auctions and view catalog listings and photographs of unique items. We are antique collections and estate liquidation specialists offering expert appraisals and estate liquidation consultations. We offer our services to attorneys, trustees, executors, administrators, heirs, and individuals. 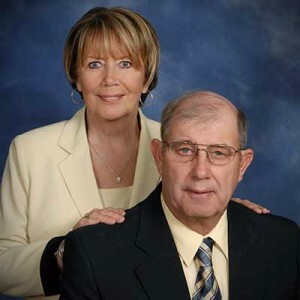 Stony Ridge Auction, recognized by trade journals and periodicals as one of the largest personal property and estate liquidators in northwest Ohio, is a company owned and operated by Jane and Dan Wilson. Auctions are held at our building at 4230 Fremont Pike, Lemoyne, OH, 43441, in northwest Ohio, just 15 minutes from Toledo. We feature a wide array of antiques and collectibles such as Victorian artglass, estate jewelry, antique dolls, art pottery, lighting, furniture and vintage automobiles.